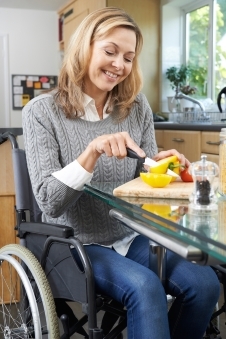 Living well with MS means knowing about the resources and choices that are available to you. There are many things you can do to improve and maintain your health. Read Managing your MS symptoms. It has locally endorsed advice about when you should go to see your GP or seek other medical help. Look after your physical health by eating well and keeping active. This helps to keep you mobile and reduces your risk of falls. Avoid getting overheated from the sun, a hot bath or spa, or over-exercising. Overheating can cause MS symptoms to come back or get worse. Stop smoking. Smoking can make MS worse. If possible, keep working. Work can help your physical and mental wellbeing. But MS symptoms such as fatigue and limited mobility can affect your work. The support organisations listed below might be able to help you plan what to say in a job interview and how to manage when you have health issues. Use technology to make life easier. For example, outings and travel can take a lot of planning. Using the internet to research things like parking and toilets before you go somewhere new can help. Don't be afraid to ask for help. People, even strangers, can be very kind and helpful. The Multiple Sclerosis & Parkinson's Society runs a course for people with MS who have fatigue. It is called Minimise Fatigue, Maximise Life: Creating Balance with Multiple Sclerosis. Contact Multiple Sclerosis & Parkinson's Canterbury for more information. If you're disabled due to your MS, the links below provide information on local resources to help you with your day-to-day living. You may also be able to get financial assistance. Keep up-to-date with MS Research. BartsMS blog is a blog that discusses new research about MS. The Multiple Sclerosis Society advocates on behalf of people with MS and supports regional MS societies. Support for people in Canterbury with MS or Parkinson disease. Cantabrainers is a choir for people with neurological conditions such as multiple sclerosis, Parkinson disease and stroke. The choir differs from other choirs since the purpose of the singing is about learning to use your voice effectively, in a fun way. MS Brain Health is an initiative to maximise lifelong brain health for people with MS by diagnosing and treating MS early. MS Energise is a New Zealand designed app to help you manage fatigue. It's currently only available for Apple devices. The free version of the app lets you use two out of seven modules. You need to pay to get access to the remaining five modules. The Multiple Sclerosis Society of Western Australia has good practical advice about living with MS.
Support services for people in Canterbury with disabilities. Written by HealthInfo clinical advisers. Endorsed by Canterbury Initiative multiple sclerosis workgroup. Last reviewed November 2018. Last updated January 2019.